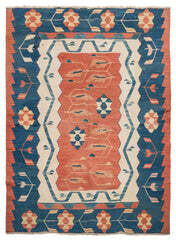 This Oriental Runner Rug was hand-knotted and flat woven in Usak region of Turkey. 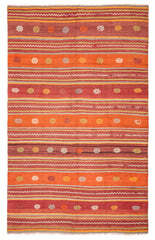 With colorful and striped patterns, this Turkish rug runner can give a depthness and spaciousness for houses. 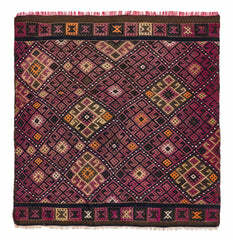 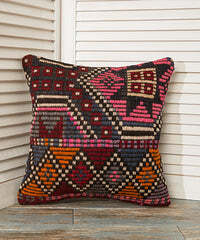 TheOrientBazaar offers one of the largest collection of Vintage Kilim Rugs, Flat Woven Rugs for online shoppers. 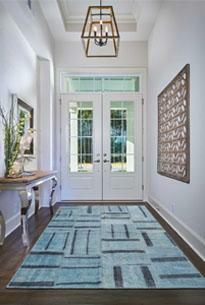 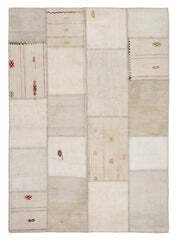 Browse through 2.000+ rug collection , all of which are in stock and ready for shipment. 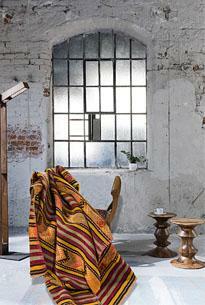 All vintage items are processed for cleaning and refining the surface and edges of the aged years. 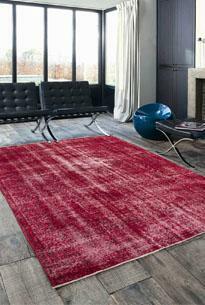 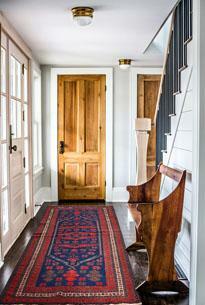 Our cleaning company is very specialized for cleaning vintage used rugs. 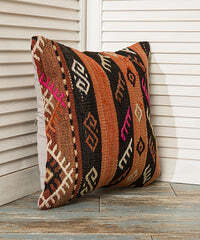 Then , these items are sent to drying under the sun for weeks. 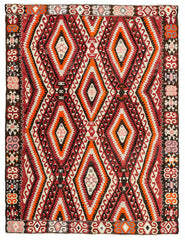 The Orient Bazaar offers affordable vintage rugs, because we have a legacy of rug collection through our grandparents who established the roots of the company in 1936. 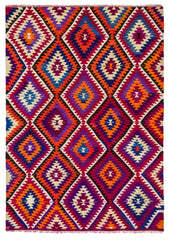 We buy and collect the rugs mostly from the owner or rarely from villager who barter vintage Turkish kilims with other goods. 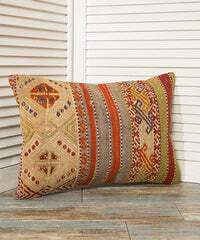 Consequently we get the Kilims at a much affordable prices.